Classical ballet provides a great grounding for all other dance styles. Ballet is the ultimate when it comes to the control of your body. It is easy to learn at every age and will help improve pretty much every aspect of your body’s fitness. Posture, muscle tone, flexibility, core strength, artistic expression and musicality. Each class will start at the barre’ and then move into the centre. One of the most popular dance styles, ballet is best known for the “pointe” technique where dancers use shoes that are especially created for dancing on their toes. However, this is only one facet of ballet – one that requires a whole lot of training before the dancer masters this move. Ask any professional Jazz/Contemporary/Hip Hop dancer and they will advise to do Ballet! 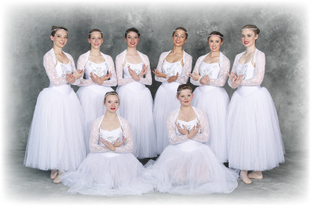 Fairy Ballet offers basic classical ballet training to young students 5 years and under. This is a fun based class and allows students to use their creativity and develop a love of dance. Fairy Ballet is a fantastic opportunity to introduce your child to creative dancing and introduce them to their first ballet movements while they play with props and learn to interact with other children. Over the year class’s focus on developing dance skills through exercises incorporating classical ballet techniques; listening to and understanding rhythm in music, co-ordination of body movements and balance, co-operative class participation, understanding directions from the teacher, fun and creative exercise, social networking and confidence building. Dance themes help to explore children’s imaginations as they learn various dance routines to music to perform in our concert. Tap dance enables a dancer to create a percussive sound with their feet. 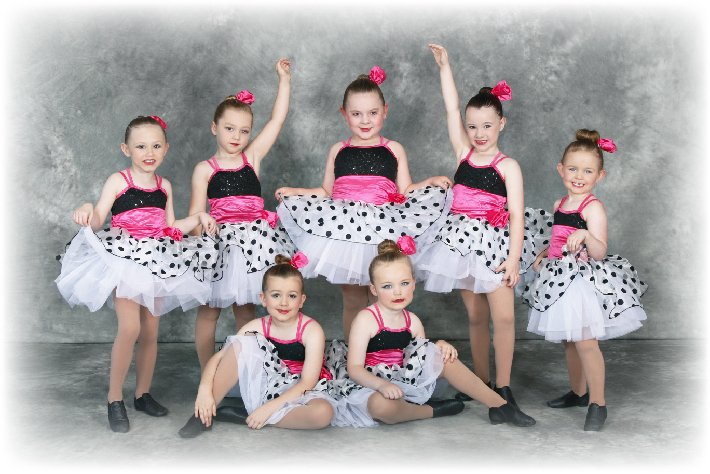 Tap classes are offered to all students ages 3 and up and focus on rhythm, musicality and timing. All classes begin with an energetic warm-up, across the floor exercises and combinations. Our beginner students explore the fundamental steps of tap dance, learn tap terminology and develop the ability to maintain correct body placement. Intermediate classes further develop skills, focusing on clarity of sounds and increasing speed as well as dynamics and musicality. 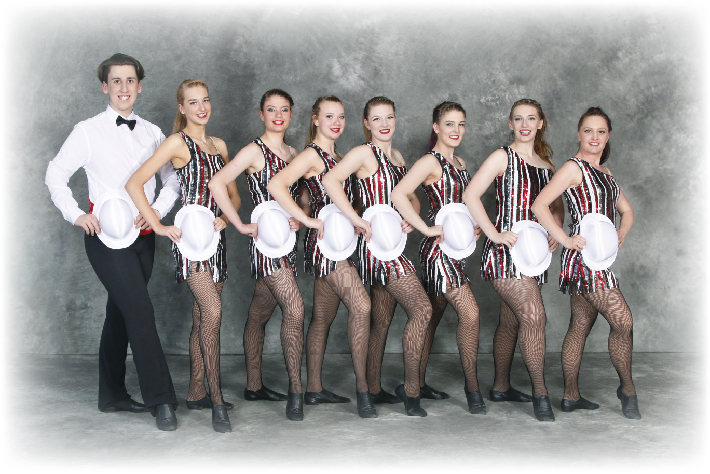 Our advanced tap dancers are challenged through improvisational exercises, intricate rhythms and footwork. Hip-hop is a very energetic form of dancing. It is unique in that it allows its dancers to perform with freedom of movement, adding in their own personalities. The classes are hard hitting and funky, our hip hop classes mix the latest urban music with fierce dance moves. Come and learn a routine in a fun and friendly class that encourages you to let loose and find your inner gangster. Contemporary is an expressive dance form with a free, artistic and creative feel. Contemporary draws a lot of its technique from classical ballet but unlike ballet, contemporary often focuses on floor work and dancers will usually perform with bare feet. Principles of contemporary dance include centering, alignment, gravity, contraction, release and suspension. Stretching plays a vital role in keeping muscles and joints strong and pliable so they are less susceptible to injury. That is why it is so important to keep up your stretching over holiday breaks so all the hard work you have put in during dance classes is maintained. Stretching can also help you manage stress more effectively giving you a chance to momentarily shut off outside stressors, and focus, physically and mentally, on your activity. Stretch and Technique class­­­es consist of teaching correct technique for kicks, leaps, jumps and turns and is a fantastic class for students who wish to strengthen their technical dance ability. These skills can be applied and adapted to suit all dance styles and provides students with the knowledge and skills to become a highly versatile, skilled and technical dancer. This class focuses on improving a dancer’s muscular strength, flexibility and endurance. Acrobatics is a class that works to strengthen all muscles of the body and flexibility as you learn the main components of Acrobats, tumbling, balancing, ground and aerial work. This class will teach proper placement of hands body and feet, while incorporating the following: Rolls, Handstands, Cartwheels, Limbering skills, Strength work and spring skills (front and back) along with Aerials. Acrobatics, unlike gymnastics, does not use apparatus and often involves partner work. This is a high energy class full of different activities. Students learn correct cheerleading terms and tricks as well as basic lifts and acro skills. It is a mix of dance and acro, great for all levels. Each class will also learn routines to perform.